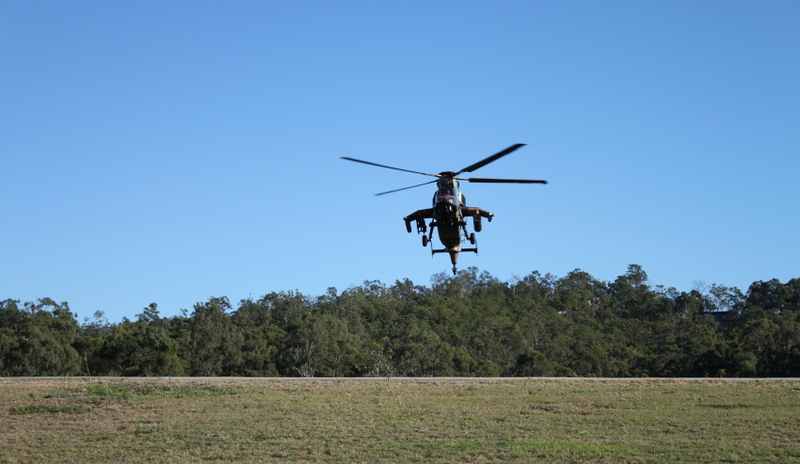 The Australian Army's Tiger Armed Reconnaissance Helicopter (ARH) #001 has become the first of any Tiger in the global fleet to fly 2,000 hours. Under the command of Lieutenant Colonel Dave Lynch, a highly experienced pilot and instructor, ARH Tiger 001 reached the 2,000 hours on a flight from the Oakey Army Aviation Training Centre to Enoggera Gallipoli Barracks in Brisbane. Aircraft #001 was the first of two ARH Tigers delivered to the Australian Army in December 2004 on the memorable parade escorted by two Light Horsemen. It is the only aircraft in the Australian fleet fitted with specialist flight test instrumentation, which enables data collection for aircraft and fleet management in Australian conditions, and for the weapons performance and flight envelopes. Airbus said the rich history of flight trials both in France and in Australia on aircraft #001 includes the initial acceptance flight trials in 2004, the first 70mm rocket firings on the Cazaux test range in France in 2004, the first Hellfire missile firings from a Tiger on the Woomera test range in Australia, the first Advanced Precision Kill Weapon System Laser Guided rocket firings from a Tiger on the Woomera range in 2016 and the first Australian embarked Tiger ship trials on the HMAS Canberra LHD in 2017. LTCOL Lynch is the Commanding Officer of the School of Army Aviation at Oakey where Army and Airbus Qualified Flying Instructors work together in a close partnering arrangement to deliver some of the most highly skilled pilots in the Australian Defence Force to the 1st Aviation Regiment in Darwin. The five ARH Tigers at Oakey, including ARH #001, are maintained by Airbus Group Australia Pacific. "The Tiger aircraft is a potent weapon system that we have worked hard to mature to a point where it delivers the required effects on time and on target," said LTCOL Lynch. "The aircraft itself has best-in-class agility and manoeuvrability, which enhances our ability to employ the precise weapon effects to fight and win in either the land or amphibious environment. This agility also makes it an absolute dream to fly, as it has crisp control response and truly carefree handling characteristics, enabling greater focus on the mission." Tony Fraser, managing director Airbus Group Australia Pacific, was on hand to witness the Tiger’s arrival after the milestone flight. "On behalf of all the Airbus employees here and in Europe involved in the development, manufacture, assembly and support of Tiger, we congratulate Army on this significant achievement," Fraser said. soldiers through the ARH Tiger." The Australian Army ordered 22 ARH Tigers from Airbus, the last of which was delivered in 2011. Globally, the ARH Tiger is part of the defence forces of Australia, Germany, France and Spain.